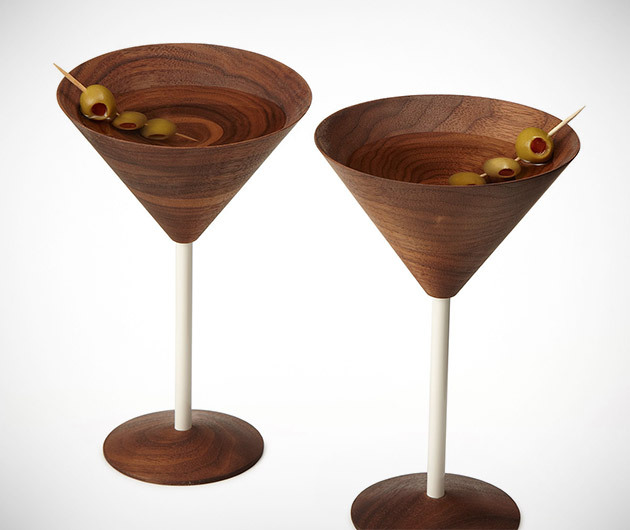 Pretty self-explanatory, Wooden Martini Glasses are just that. Designed by David Rasmussen, these beautiful drinking vessels are handcrafted in Colorado from black walnut whose grain mirrors the ripples of your tipples. Not only gorgeous, the wood even keeps your drinks chilled far more efficiently that glass ever could. Harder to smash too, obviously.